I almost bought Angelfire at the bookstore yesterday, and now I’m kind of regretting not picking it up– oh well. I have a feeling that when I do get around to this series it will be a super-quick read. Certainly not denying that! For me, it was really quick read because I could NOT stop reading because OHMYGOD OHMYGOD but even if you aren’t that into it, I think it ought to still fly by. I don’t regret buying them because I read them again and again, but…yeah. 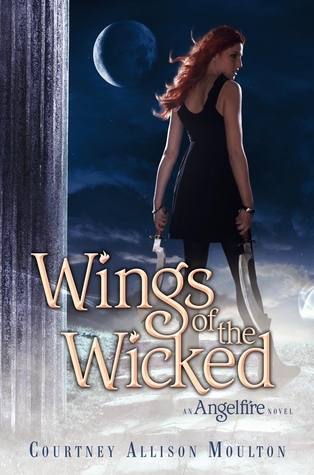 If you don’t like to spend money on quick reads you aren’t sure you’ll like (because I don’t), Angelfire and Wings of the Wicked might be on the fence for you.